We know that the U.S. federal government is actively working to modernize the federal workforce to meet the fast-evolving nature of 21st-century work. There’s a push to update technology systems to improve mobile access and citizen engagement. The development of eLearning courses has been significantly simplified through the use of authoring tools. The capabilities and features of authoring tools have been improved to offer many powerful options to their users. Understand the Tools you are Using. Before you dismiss today’s post based on the title, hear me out. At this year’s Chief Leaning Officer Symposium , I had the opportunity to hear a panel discussion on the topic of creating and sustaining a culture of learning. The customer experience is key. Learning platforms have undergone tremendous changes; from classrooms to desktops to mobile phones. But there are still organizations who are unable to decide if they want to completely switch over to online training. Some might say that since millennials comprise a major part of the workforce, it would be prudent to use an online training platform. For an enterprise, training and development is compulsory. I ran across an article on the MarketingProfs blog recently titled “ Four B2B Marketing Trends that Will Define 2018 ”. The first trend was that individualization will become the new personalization. Personalization refers to “how” learning is consumed. “Tell me and I forget, teach me and I may remember, involve me and I learn.”. Learning is a way of life. There can be no alternative to acquiring knowledge other than learning and training. Employee training is a crucial part of an employee’s journey. I came across this article from Harvard Business Review titled, “ 6 Ways to Take Control of Your Career Development If Your Company Doesn’t Care About It ”. I’d recommend bookmarking it and carving out time to read it. But that’s also the challenge. The question is time. If, like many of your L&D peers, employees in your organisation tell you they prefer classroom training, it’s important to understand their preference in relation to the perceived alternatives. And why do you want your content to resonate with them? Continuous employee training is critical to establish competitive advantage and long-term success for any business. 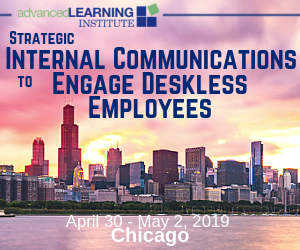 As new employees join your organization, you need to provide them with the necessary on-boarding training to align them with your organizational goals, culture and acquaint them with the necessary business processes and functions. The goal is to adapt them to their new job and responsibilities as smoothly and as quickly as possible. Amongst the exhibition halls lie silver bullets aplenty. The grand claims made by LMS and e-learning providers turn heads, spark interest, and solve all our problems. If only, our people would engage in online learning. We’ve stuck everything to the same old tosh. The post Ask One Question To Address Your Organisation’s Online Learning Problem appeared first on Looop. A learning path is a sequence of activities that allows a person to build knowledge or skill. The idea being that each topic builds upon the previous and makes the employee better at project management. Learning paths are different from talent pools, in my opinion. A huge thanks to our friends at Kronos for this Time Well Spent. Many of today’s teachers go far above and beyond the job description to make sure that students get a good education along with the tools they need to learn. Quite the contrary, I’m all for it. Plus you get the chance to help shape the direction of someone else’s path, and that is an exciting prospect. Today I’m going to talk about how you can do this in your own life to bring inspiration and guidance to someone else. How Recruiters Can. Candidate Pipeline Every organization has two critical pipelines that fuel the. The first, and probably most well. known to the masses, is the sales pipeline, which is so. of the company’s products and services into the market. From time to time, we invite guest contributors to provide their personal perspectives about trending HCM topics. The views, opinions, and comments expressed below are solely those of the author and do not represent Ultimate Software. The same is true for people analytics. Even when you work in an office full of people, self-management involves doing a lot of things independently – resolving your conflicts, figuring out the solutions to your problems and creating your most productive work. Also, be prepared to discuss what skills you’d like to develop. As a business owner, a streamlined hiring process that delivers you strong talent is essential to the future health of your business. If you’ve got a lot of turnover or find that it takes you months and months to fill an open role, ultimately your company suffers. (Editor’s Note: Today’s post is brought to you by our friends at Capella University. Capella is an accredited online university dedicated to providing an exceptional, professionally-aligned education that puts you a position to succeed in your field. I stumbled across an article recently in Training Magazine about “ Creating a Continuous Learning Culture ”. We’ve talked before about self-learning being a competency that individuals should develop. The thing I found interesting in the article was the focus on daily rituals. Organizations today are searching for the silver bullet, magic pill, or other miraculous way to dispense knowledge and skills in the shortest time possible. And eLearning appears to be among those strategies. The same should apply to eLearning. Changing behaviors is hard — even if the behavior is just getting people to take training! We can’t rely on our employees to be compelled to enter our platforms just because we tell them that it’s “suggested” or “required” training. Our employees are busy, so why should they use their precious time on what we assign to them? The thing is, the most relevant and effective training content in the world will only be effective if people consume it. My takeaway from the white paper is that we tend to label people as “creative” versus looking at a creative process that anyone could use successfully. It also raised some questions about how we view creativity. For example: How do people learn a creative process? As consumers, we get more opportunities to give feedback about products and services. I was recently at a hotel that sent me a text message after my first night, asking me to rate my stay so far. Feedback extends to employees as well. Sometimes, we just need to make it work. 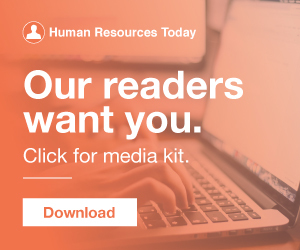 As the HR software sector becomes more crowded, it’s getting harder to evaluate which HR platform—or platforms—will bring the most value to your organization. So how do you evaluate HR software to make the best decision for your company? In the L&D world, e-learning today can sometimes be seen as the poor cousin to instructor-led training. Very rarely does that form of learning solution serve the purpose it’s intended for. What Should We Be Expecting of E-Learning Today? I know this will sound really weird coming from someone who designs and delivers training for a living but, all learning opportunities do not have to be training. In fact, training can have a greater impact when it’s delivered in concert with other learning opportunities. In today's competitive job market, how candidates perceive your firm impacts who you attract and hire. If your candidate experience rocks, you'll be able to attract top talent! Have you ever considered what it's like to be on the other side? 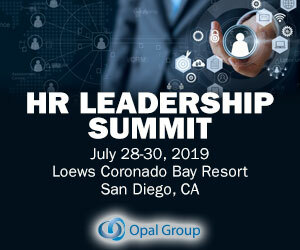 Want to be a true HR leader within your business? Learn to influence others. A significant portion of what we accomplish comes through the influence, coaching, and guidance of our peers, executives, and staff. The book was published in 1936. Click to View Larger Version. Editor’s Note: Today’s post is brought to you by our friends at SilkRoad , a provider of talent activation technology. Be sure to check out their “ Top Sources of Hire 2017 ” report, which lists the top seven sources of new hires. A celebration that was supposed to be a fun and festive display of my then-company's “culture" turned out to be the antithesis of holiday cheer. A catered lunch and award ceremony ended with the CEO thanking us and giving the entire company the rest of the day off.